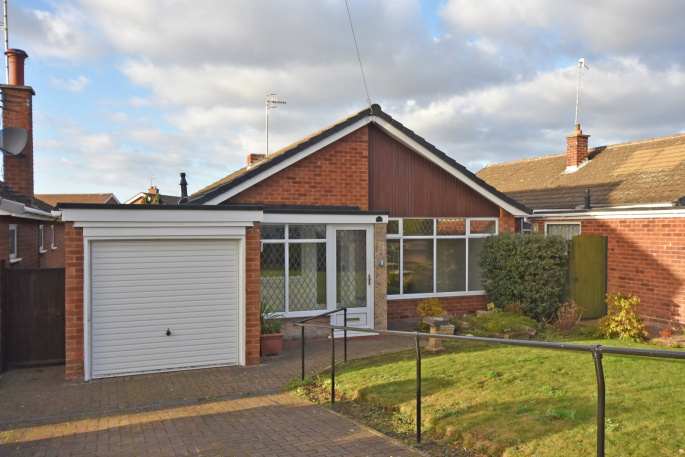 We are pleased to offer this detached modern bungalow that has been refurbished throughout and provides comfortable, well proportioned accommodation in a good residential area within easy reach of local shops and transport links. 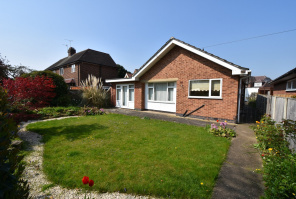 The bungalow has an open plan entrance with a dining hall and kitchen, two double bedrooms, a good sized lounge and a sun room opening onto the easily maintained back garden. 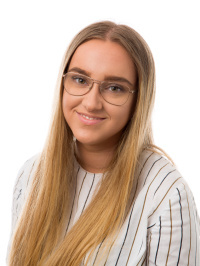 In addition to a new central heating boiler and radiators, there are new carpets and flooring, fitted kitchen units, a contemporary bathroom suite and double glazed windows. 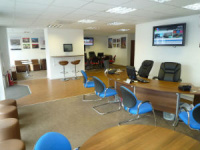 As well as a garage, there is a block paved drive for additional parking. For sale with no chain and vacant possession, viewing is recommended. EPC Rating is D - 63. 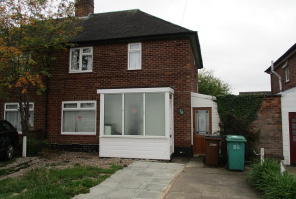 The property is entered through a double glazed front door with leaded detail and matching double glazed units to either side. 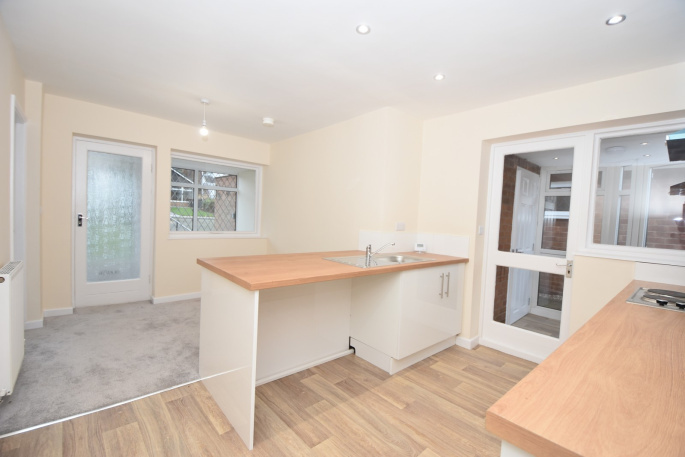 The entrance porch has wooden effect vinyl flooring and a large glazed door into the dining kitchen. 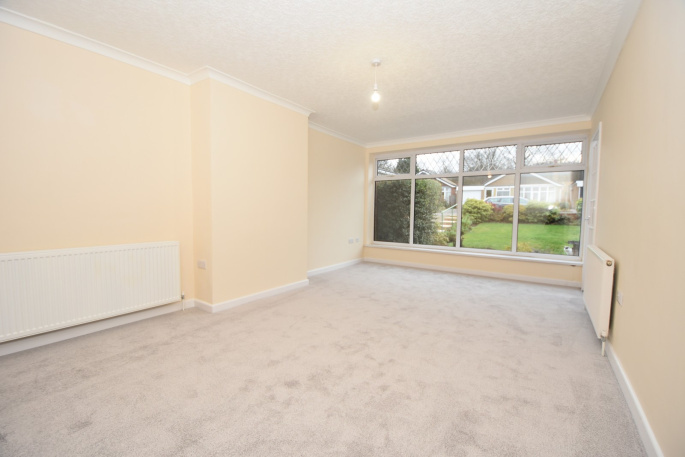 A nicely proportioned front aspect room with a large picture window with leaded detail to the transom windows, two radiators and a fitted carpet. The room also has numerous power points, a television connection point and coving to the ceiling. There is a glazed multi pane door returning to the dining area. The dining kitchen has been completely refitted with a brand new white high gloss range of units at base and wall level with drawers and wooden effect acrylic working surfaces. There is an inset single drainer stainless steel sink unit with a mixer tap, a fitted four ring electric hob with a stainless steel extractor canopy above and a matching oven and grill below. There is plumbing for a dishwasher and space for a fridge. 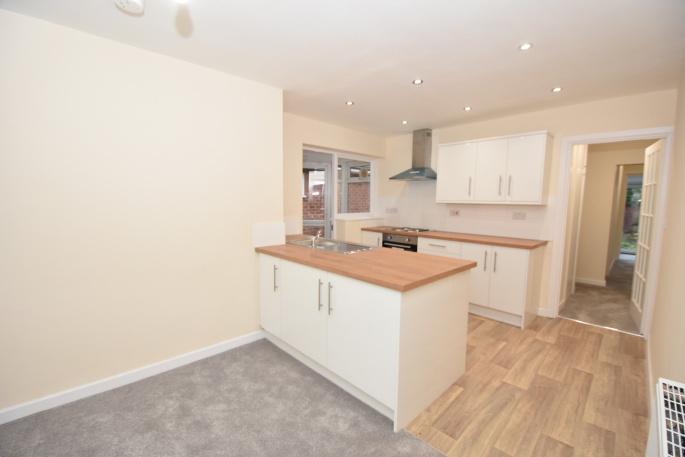 The kitchen area has inset ceiling spot lights, wooden effect vinyl flooring and partly tiled walls. The dining area has a fitted carpet, a radiator and ceiling pendant light. 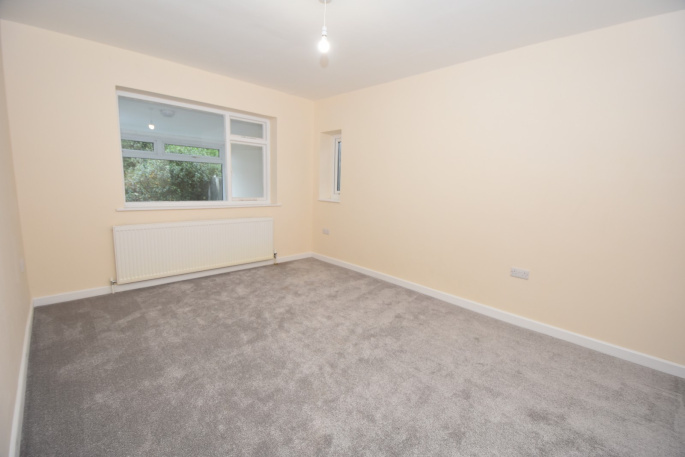 Opening onto the rear garden, this is a bright room that could be used all year round, with large picture windows and sliding patio doors. There are two large radiators and a fitted carpet. The inner hallway has a fitted carpet and radiator as well as loft access hatch and an airing cupboard with slatted drying shelves. 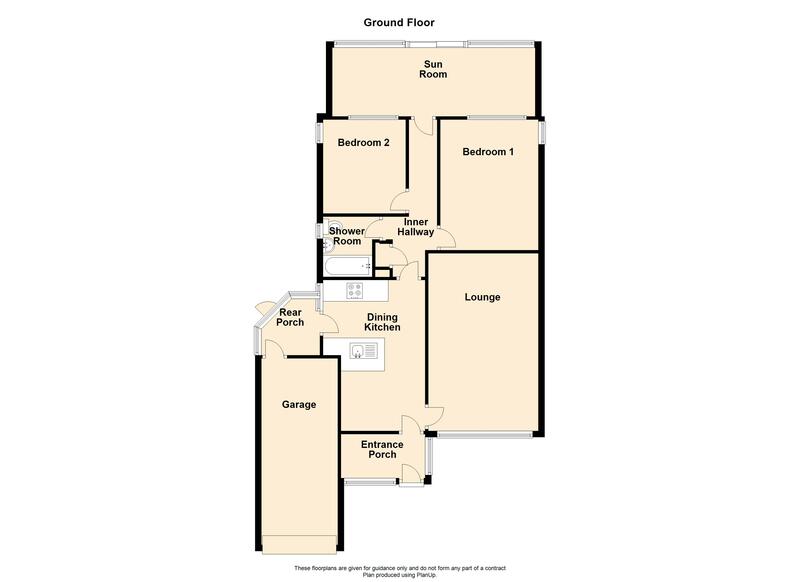 This nicely sized master bedroom has numerous power points and windows to the rear and side aspect. There is a large radiator and a fitted carpet. 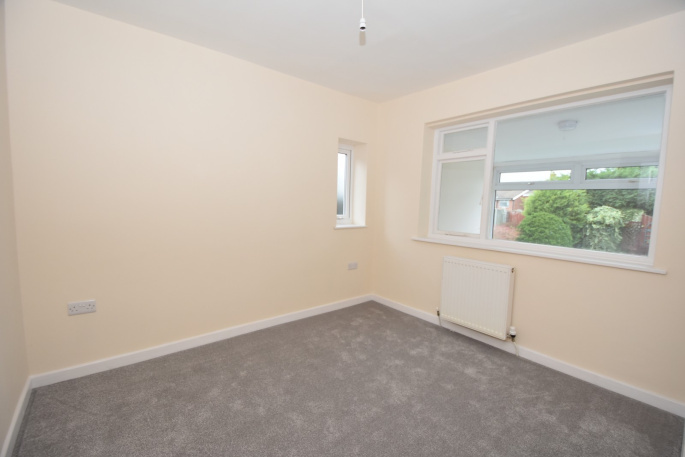 This is a decent size double second bedroom with rear and side aspect windows, a radiator and a fitted carpet. 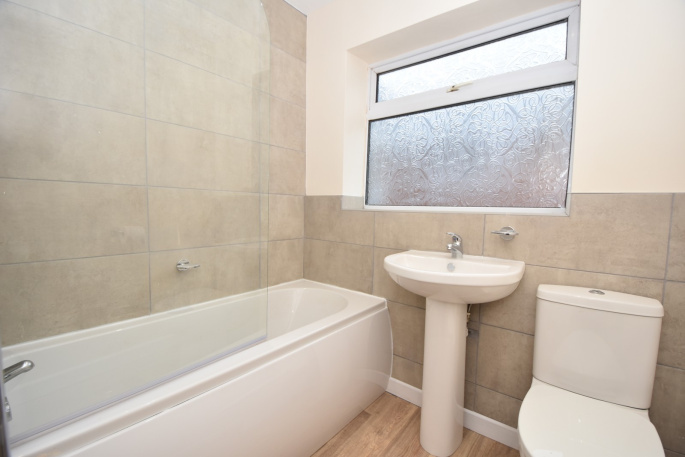 The bathroom is very well appointed with a modern white suite and tiled walls. The suite comprises a panel enclosed bath with surrounding grey tiled walls, a shower screen and a chrome bar shower. There is a pedestal wash hand basin with a mixer tap and pop up waste and a low level flush WC. The room also has wooden effect vinyl flooring, a chrome heated towel rail/radiator and a side aspect opaque paned double glazed window. There are inset ceiling spot lights and an extractor fan. The rear garden is enclosed by timber panel fencing with gravel boards and concrete posts and is well screened from neighbouring gardens giving a good degree of privacy. From the sun lounge are steps down to a small patio area which currently has Astroturf style covering and leads to a gravelled area with a central stone filled bed for plants and shrubs. 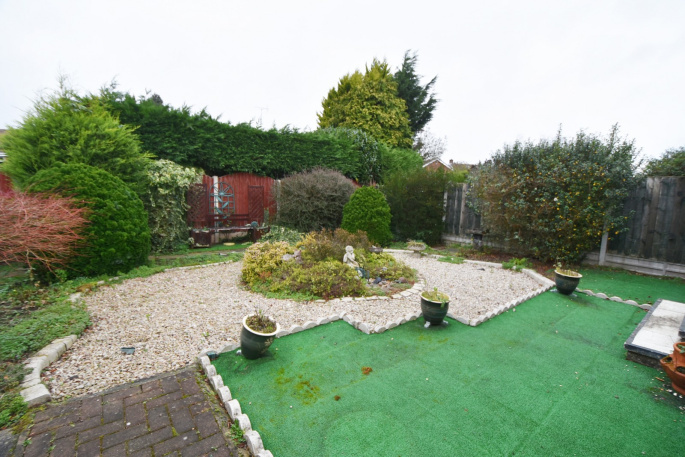 Surrounding this area are further well stocked flower boarders and there is a paved concrete path to the rear as well as a block paved oath to the side of the bungalow leading pat the garage to the front garden. 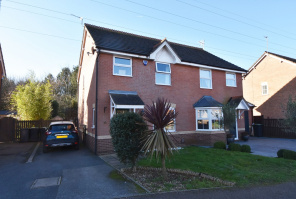 The front garden has a block paved driveway allowing for off road parking, a square lawn with well stocked surrounding flower boarders and a dwarf brick wall to the front. The garage has a pedestrian door from the rear porch and an electrically operated up and over vehicular door. 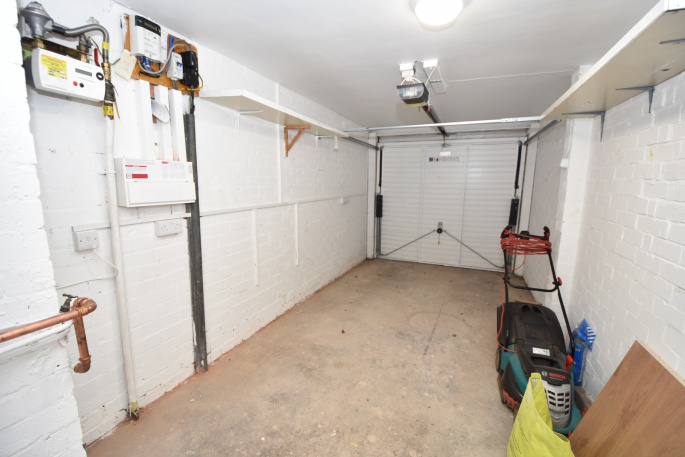 The garage also includes plumbing for an automatic washing machine, a light and power.